After a day in Gu Gong, rest of the other landmarks became less overwhelming. 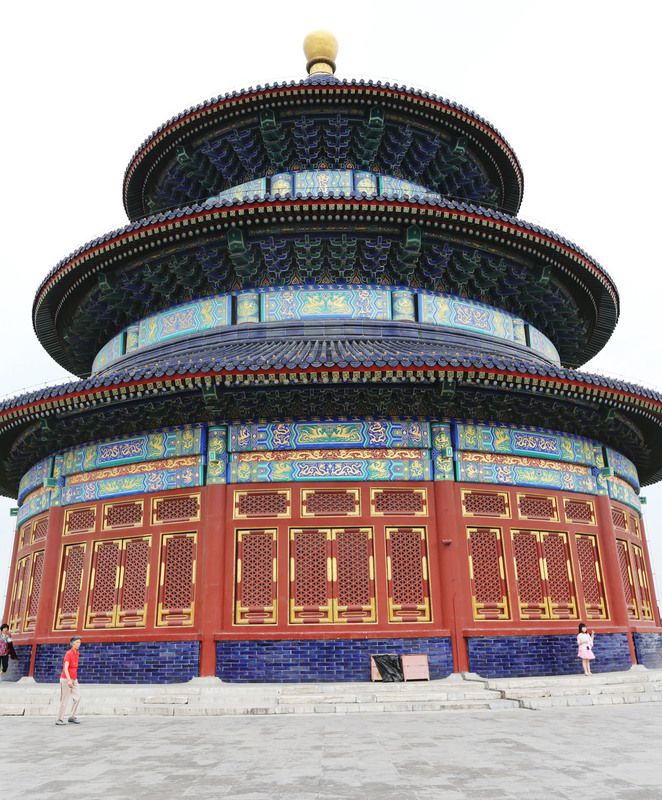 Tian Tan, aka Temple of Heaven, is a complex of religious buildings situated in the southeastern part of central Beijing. The complex was visited by the Emperors of theMing and Qing dynasties for annual ceremonies of prayer to Heaven for good harvest. Continuing my love on Tang Zhuang (traditional Chinese style clothes), I picked this modified Qi Pao dress in cotton and linen. I hope you like it as much I do. I really like the fit of this dress: it's fitted on top and has a A line shape at the bottom, so it easily covers all the flaws if you have a heavier bottom like me :P and the length of the dress is perfect for petite girls, it elongates your legs especially with a side slip like this will satisfy your inner diva.